Teenage defender James Waby has joined Boston Town. The 19-year-old becomes Gary Edgley’s latest signing, having been on the books of Grantham Town this season. 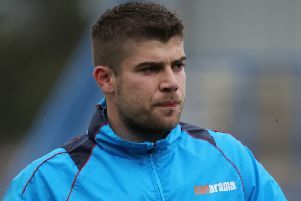 “James is a no-nonsense centre half that will give us much needed cover at the back,” Edgley told bostontownfc.co.uk. “He is still young and will improve with this step up.